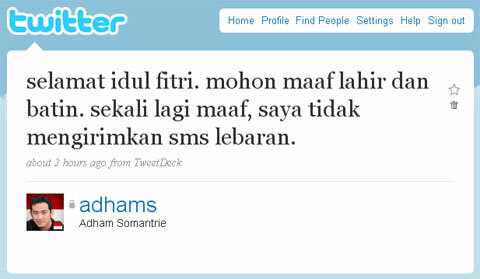 Selamat Idul Fitri: Don't SMS, Do Social Network. 6378 views. This post is copyrighted — materials from other creator are explicitly mentioned. You may use any information for non-commercial purpose with credits and backlinks. For commercial purpose, please let me know first. jangaannnn dong..ayoo,tingkatka penggunaan sms temen2x..
Minal aidin wal Faizin jg brader..